I changed almost everything~! -> lol but true. Some elements are not found on the original scan, added them as fanservice -> open eyes like in the original wall and the new feature – I added top of his head - yup, a nice, useful thing to have. It all started with his hair, like I said I reconstructed his head just so I can add the full set of hair, very string of hair was made by hand (it was my pleasure ;3). The concept is pretty much the same i just made a real effort with the vexeling this time. And the dirty wall behind him is just a bonus. Such a dirty dirty wall. 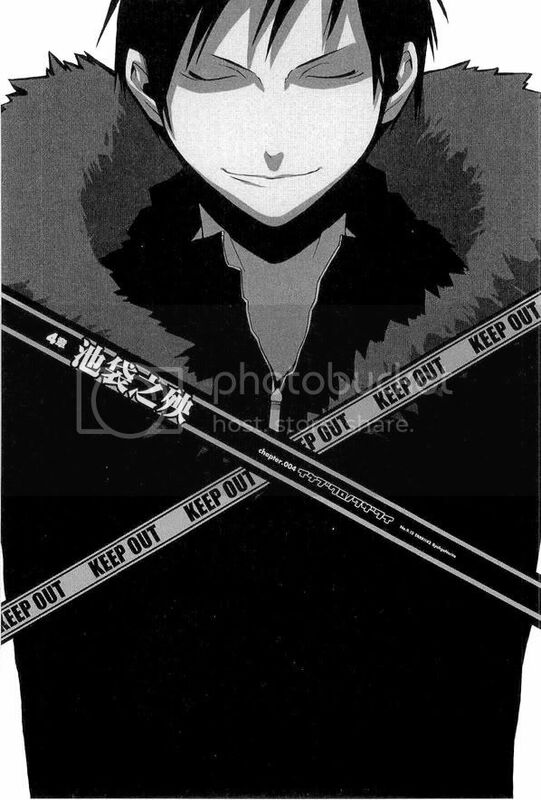 uwaaa I love how you made him XD! You even made the eyes XD and they are so red and shiny! his stare is awesome XD! love the naslov too :D! Love the monochrome look of it. I prefer the non-yellow ver but both are cool. kowaii XD thanks for uploading! Really awesome! This is great, thanks for uploading! 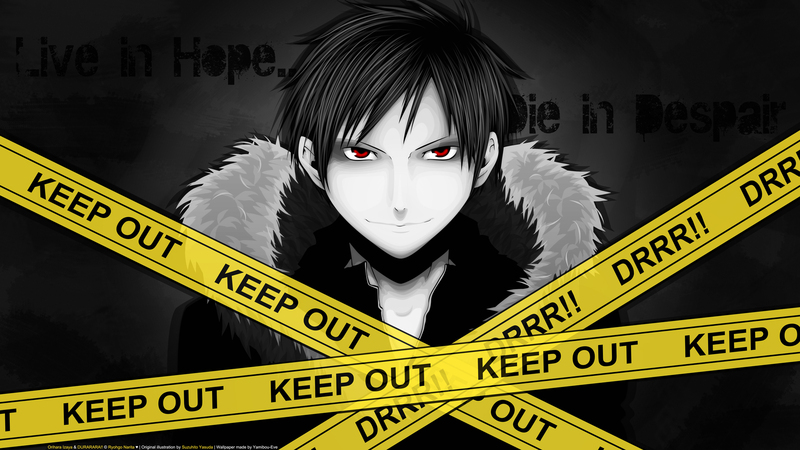 <3 this show.. Izaya's character was awesome. Thanks! I really really like this !